ONE person is seriously injured after a B-Double rollover on Gladstone Monto Road at Boyne Valley this afternoon. 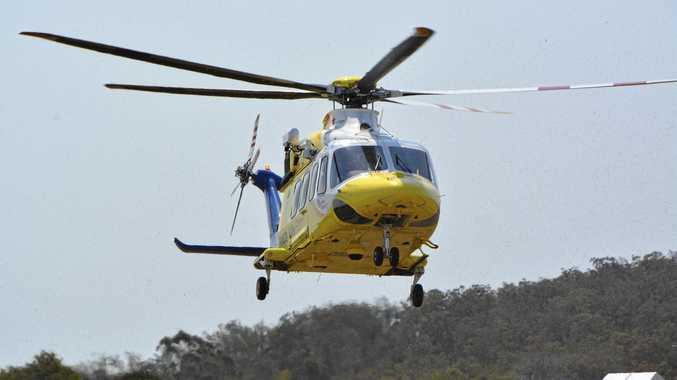 Police, fire, ambulance and a rescue helicopter were tasked to the scene of the single vehicle accident that occurred at 1.35pm. Emergency services are assisting the patient who is trapped in the vehicle. The patient is not in a critical condition, however they are being treated for serious head, leg, shoulder and rib injuries. Queensland Police Service said the road is blocked in both directions and they cannot advise how long it will take before traffic will be flowing again. "It takes as long as it takes to clear the truck from the road,” a QPS spokesman said.